Yoga guides you toward weaving your body, mind and spirit together into a harmonious one-ness. Hot Yoga can be fantastic for anyone interested in health and well-being. 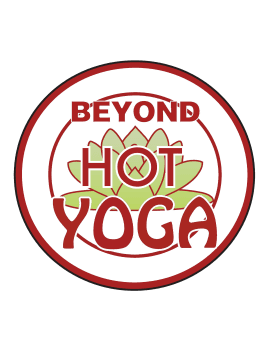 Hot Yoga is suitable for both beginners and advanced practitioners. All age groups and fitness levels are finding Hot Yoga and embracing this timely trend. Curious? Then suit up in the proper workout gear and join the adventurous souls who have uncovered the benefits and joys of Hot Yoga. Sweaty? Yes. Addicting? Certainly!! Detoxifies and cleanse your body via sweat. Class length is between 60 and 90 minutes, and involve a standing series, which focuses on strength, balance, and endurance; and a mat series, which focuses more on stretching and improving flexibility. We recommend lightweight clothing, ideally quick-drying, anti-sweat athletic wear. Most men prefer to go shirtless and wear shorts; for women, the standard is a tank top or sports bra with shorts or lightweight yoga-style pants. You might want to bring a change of clothing with you, so you don’t leave the studio wearing your sweaty workout gear. It is the humble wish of the management that every person who leaves Beyond Hot Yoga leaves with a sense of peace and bliss—even if it is just a glimpse. Most of all, we want to empower individuals to enhance the quality of their lives and live their dreams. Drink plenty of water prior to the studio. At least 1 – 2L throughout the day is best. Do not eat 2 – 3 hours before class to prevent nausea. Be silent in the practice room. Enjoy this time to meditate before class. Respect those with allergies/sensitivities and don’t wear perfumed/scented products to class. If you ever feel nauseous, dizzy, or tired during class, simply lie down on your mat and enjoy the therapeutic benefits of the heat.